Here at The Wine Gallery, we’re deeply passionate (in case you hadn’t already realised) about new Australian wine. We’re also more than a little fond of the produce of Italy… so when we discover a winery which brings classic and lesser-known Italian grape varietals to Aussie soils, we get really rather excited. Imagine our faces, then, when we heard about Samu Wines - a South Australia winery dedicated to exploring the potential of Italian grapes in their stunning vineyards, and one which has already won scores of fans as a result of their gorgeous releases. Head vintner Sam really knows his stuff, too; after spending years travelling around Europe as a younger man, he settled for a while in Italy where he worked alongside some of the winemaking greats of the country, picking up many of the skills and insights he’s so successfully implemented back home. Sam Underdown loves Italian varieties, and has a real focus on them with his SAMU wine label. 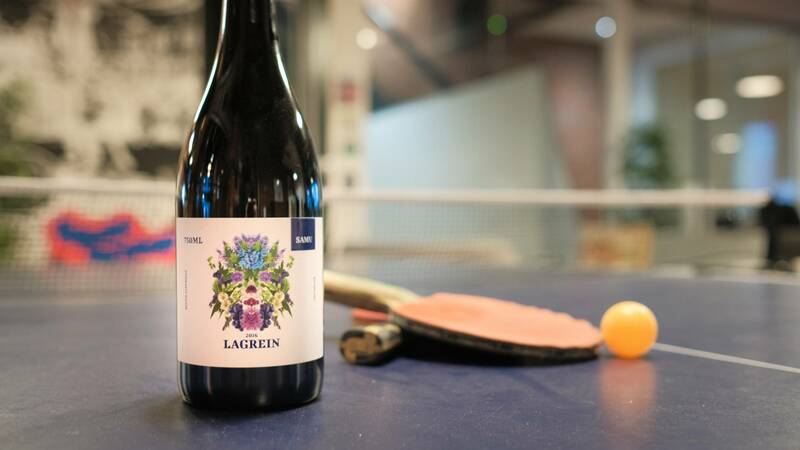 He loves introducing people to unusual varieties, and Lagrein (originally from Alto Adige in the north-west of Italy) fits this bill perfectly! It displays a vibrant purple-red colour with flavours of dark fruits of black cherry to black plum. There's a lovely blueberry character as well. The palate is velvety with a well-balanced finish to make this a cracking red! Great stuff. Sam Underdown loves Italian varieties, and has a real focus on them with his SAMU wine label. This northern Italian grape varietal isn’t the most well-known out there, but it’s proving to be a real hit with those looking for top fooding pairing wines. 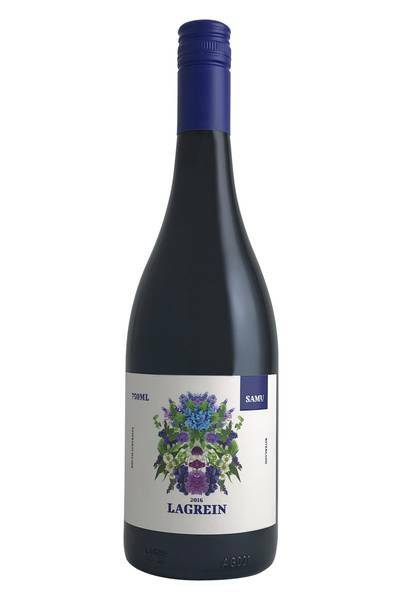 This wine from Samu would go really well with the kind of Alpine dishes typical of Lagrein’s spiritual home in Alto Adige; strong cheeses, smoked ham, and hearty, rich, and meaty stews. We also love this wine alongside meaty, savoury dumplings, braised red meats of all kinds, and roast fowl and root vegetables.